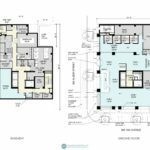 The project will be located on a site occupying slightly less than a quarter of a block at 539 SW 10th Ave. The site, owned by Downtown Development Group, is currently used for surface car parking with food carts lining the perimeter of the site. 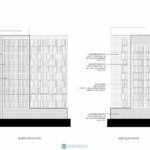 Two other hotels are currently proposed in close proximity to the site along Alder: the SW 11th & Alder hotel, which was approved earlier this year; and The Woodlark Hotel, which is currently under construction. 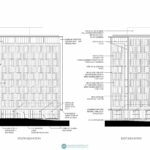 Exterior materials proposed for the building include manganese iron spot brick, aluminum metal panel, window wall, aluminum windows and vertical bifold glass doors. 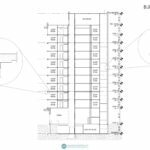 The hotel would not have a traditional full service restaurant, but instead proposes to have four cart stall located adjacent to the code required loading dock. Use of the dock for loading purposes is proposed to be limited to early mornings, enabling it to be used for seating during the daytime. Hotel check in would be performed at the bar, which will face SW Alder St. 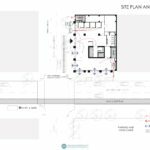 The project was presented to the Design Commission at hearings held on August 9th and October 5th, where it was well received. The Commission praised the exterior expression and the ground floor layout of the building. Much of the discussion at the second hearing focused on issues raised by staff in a memo, including the fact that the ground floor is elevated relative to SW 10th Ave and does not have an entrance facing that street. 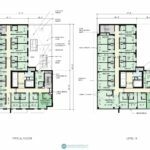 The applicants were encouraged to study ways to improve the building’s ground floor presentation to 10th Ave, which by city code is a higher priority street than Alder due to the presence of the streetcar line. 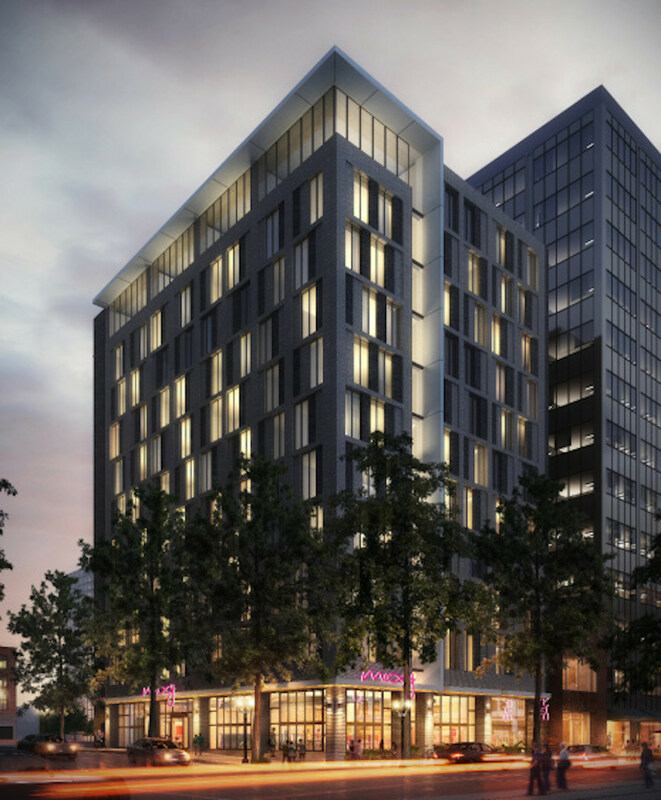 In order to gain approval the Moxy Hotel will be required to go through a Type III Design Review, with public hearings in front of the Design Commission. This entry was posted in DLR Group, Downtown, Downtown Development Group, Graves Hospitality, Moxy Hotel. Bookmark the permalink. That ribbon/flange thing is such a tired gimmick. It should have died years ago. Exactly. I’m disappointed the Design Commission didn’t challenge them on this. What an odd mixture of streetcar and MAX train in the first rendering, depicted on the streetcar line. So fantastic that they’re putting in more hotel rooms with no parking. Like not even a garage underground? I don’t know why anyone thinks this is a good idea. There are a massive number of trips to downtown Portland that are car free, or rely on just Transit, Rideshare (Uber & Lyft), and per trip rentals (Car2Go, ReachNow). This hotel is next to the streetcar, major bus lines, and the MAX right in the middle of one of the most walkable areas in the city… Lack of parking seems like a non-issue to me. There is also a SmartPark garage one block away with available overnight parking. 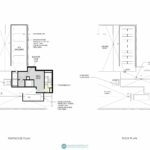 The site is only 75′ x 100′. If they tried to underground parking the ramp down and the drive aisle serving the parking spots would take up most of the available room. With a double loaded drive aisle they’d be able to fit maybe 20 spaces in a single level underground garage, and most likely fewer. Lots of hotels get contracts for valet parking at nearby garages that are empty at night since they’re already existing for office workers during the daytime. The garage makes money for time the space would normally be empty, and the hotel saves on construction costs by hiring a company to run the valet service. It’s a big part of why having hotels near offices in a CBD makes a lot of sense. I’m curious…aren’t there a lot of hotels coming on line? I’m a fan of development…but there seems to be quite a glut of hotel stock. Maybe this is a good time to promote tourism in Portland/Oregon in general. Bus tours downtown to wine country, St. Helens, Gorge, Timberline, etc. I get it–no parking spaces, because everyone rides the bus, MAX, streetcar, Uber, and skateboards in our dear city. But…is there a plan or policy in place that will trigger required parking spaces in downtown development? Has anyone suggested a saturation point, where more parking, in our growing city, simply will have to be provided by developers, or is our current “policy” just, “No more parking spaces, ever”? No onsite parking doesn’t mean they won’t accommodate cars. They’ll just do valet parking at nearby lots. Actually makes more sense because the valets can pack the cars in much tighter than drivers will do parking their own cars. You can be guaranteed that if you drive up to this hotel in a car there will be a kid at the curb who will take your keys, give you a ticket, and whisk away your car. That’s what most of the other downtown boutique hotels do now anyway. It just won’t be free parking like at some suburban freeway interchange hotel. But I doubt there is a single downtown hotel that has free parking. It remains to be seen if there will be continued demand for downtown hotel rooms if the downtown vagrancy/drug addict problem isn’t addressed. I own a retail store and we hear negative comments daily from visitors. I’m in Japan right now and even had Japanese who visited Portland comment on it! San Diego, LA and San Francisco all seem to have maintained a tourism industry even with significant homeless populations. Pretty much every city on the west coast is dealing with homelessness now. The Oregonian just did a piece on the homeless in Central Oregon. There are lots of reasons for it, but it’s becoming a major national problem. LOVE how open the ground floor is, and the idea of putting an often wasted loading space on double duty like that is smart, we should be doing things like that more often. Agreed, and it solves an ongoing problem in this city by incorporating the carts it would otherwise be displacing. Not the most inspired design (see previous comments) but a good urban solution, in my opinion. I do not share in the general disappointment with this design. The renderings display a strong rhythm in the fenestration and what appear to be deeply recessed window openings, which would create a more interesting contrast of light and shadow through the day. Additionally the elevations identify 3 textures of brick in 7 5/8″ x 2 1/4″ size brick units (small, human scaled as opposed to jumbo brick or Norman brick). And the verical fin on the SW 10th side seems to indicate the main entrance. Conveniently the Design Commission wants the main entrance on 10th. I would suggest that the vertical fin would serve as a mount for hotel signage above the relocated entrance. Yes, I recognize that the ground floor elevation would have to drop, creating access challenges along the SW Alder side. 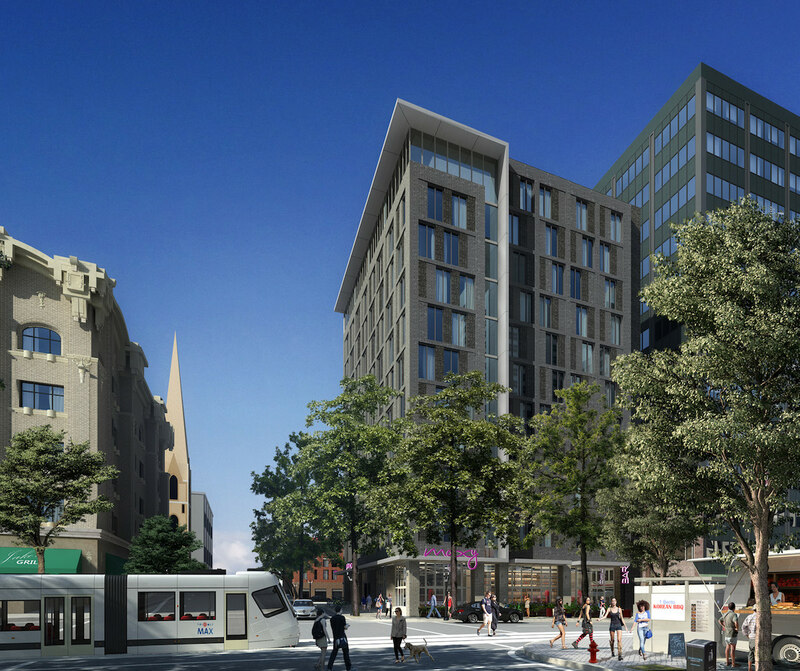 Frankly I am so glad to see such a proposal for a less-than-1/4 block site. More such smaller footprint buildings will be better for Portland’s urban, walkable scale. They are demolishing a much loved food cart pod so that they can replace it with a hotel for tourists who are coming to Portland to patronize the food carts- does this make sense? Why is everyone so upset about parking? Who cares? They’re destroying the reason Portland is a tourist destination to begin with. Not to mention that building looks outdated before it’s even built. Shame on the City for allowing this.